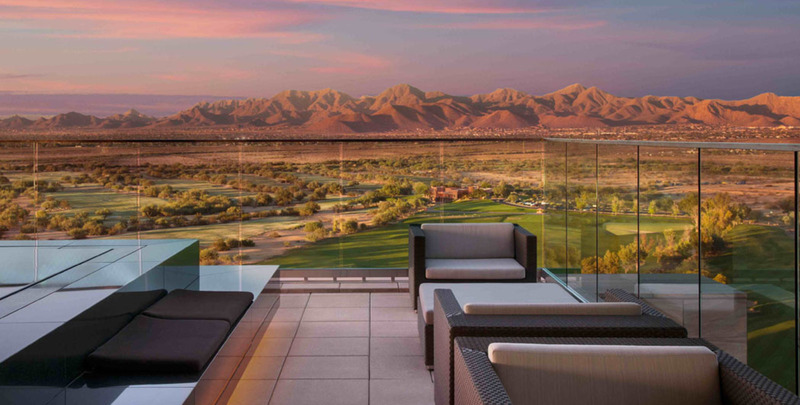 Arrive in Phoenix, Arizona early in the evening, with enough time to enjoy dinner at the Orange Sky Restaurant on the 15th floor of the Talking Stick Resort in Scottsdale, Arizona. Here, you will enjoy a fine dining experience with the best sunset views in Arizona and an award-winning wine list. Stay the night at either the Talking Stick Resort or the Courtyard by Marriot, both owned and operated by the Salt River Pima-Maricopa Indian Community of Arizona. Hit the road early in the morning, and head to the Grand Canyon National Park to explore the Desert View Watchtower and Visitor Area located at the south rim of the Grand Canyon. At this newly re-dedicated cultural interpretive center, you will enjoy live artist demonstrations, sightseeing, and authentic Native-made arts and gifts. After sightseeing at the canyon, you will head to the Explore Navajo Museum & Trading Post for additional shopping opportunities and to learn more about Navajo culture. Finally, take a drive to Monument Valley, where you will experience a beautiful sunset tour of the iconic landscape, enjoy Native dance demonstrations, Native foods, stargazing, and stay in a traditional Navajo Hogan with Monument Valley Simpson’s Trailhandler Tours. Wake up with the sunrise at Monument Valley, and head off to the breathtaking landscape at Canyon de Chelly also on the Navajo Nation. Explore Canyon de Chelly with a Native guide with Thunderbird Canyon Tours, and enjoy lunch at the Thunderbird Lodge. In route to your next stop, visit the Hubbell Trading Post, the oldest continuously operated trading post on the Navajo Nation. After lunch, take a drive to Window Rock, Arizona where you will take a breathtaking sunset hike. Stay the night at the Quality Inn Navajo Nation Capital. Discover the traditional Native American culture and living history of Acoma Pueblo in New Mexico. Acoma Pueblo is an important part of New Mexico's cultural heritage, as the oldest continuously inhabited settlement in North America. With an Acoma guide, you will travel to the top of the mesa and take a cultural tour of the “city in the sky.” After your tour, stick around for lunch at the Yaaka Café. Next, head north to Santa Fe, New Mexico where you will explore the renowned art scene, enjoying a Native arts tour at the Museum of Indian Arts and Culture on Museum Hill, an exclusive Vault Tour at the Indian Arts Research Center, and then explore the IAIA Museum of Contemporary Native Arts. Indulge in a dinner at the La Fonda Hotel, and then stay the night at the beautiful Hotel Santa Fe.